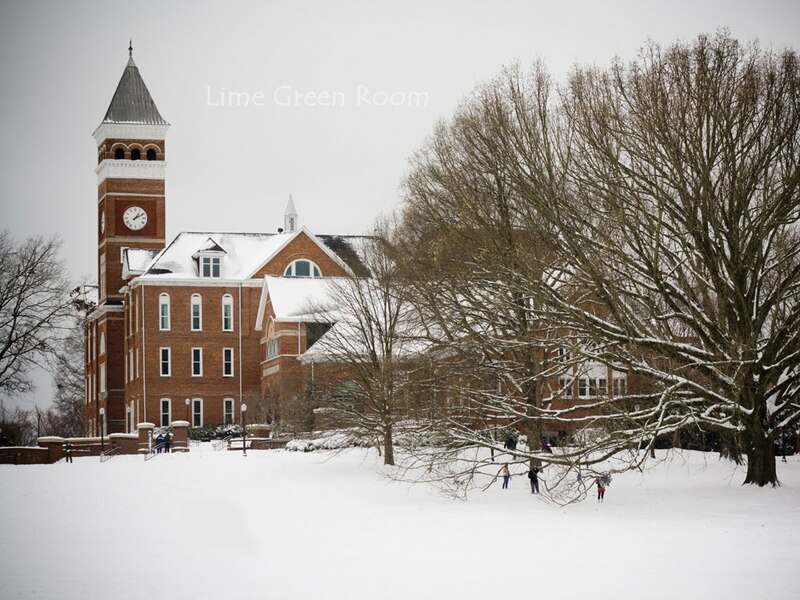 This gorgeous photo of Tillman from this past week's snow storm was taken by the very talented Rachael Bergstein of Lime Green Room Photography. Download this photo for free (courtesy of Rachael!) to use as your computer desktop background. 2. Right click on the photo and select "Set as Desktop Background"
If you need a larger sized image or another custom size for your desktop, please email us at clemsongirlblog@gmail.com with your request. Big thanks to Rachael for sharing this photo with all of us. She took some amazing snow photos around Clemson this past week. You can view them all and order prints of your favorites on the Lime Green Room photography website. Also, make sure you visit Lime Green Room photography on Facebook and become a fan - Rachael's currently holding a contest where you can win a free 2011 calendar full of amazing Clemson photos!